Rabac Ferry port is located in a small Croatian village in Istria by the Kvarner bay just 3 miles southeast of Labin. We don't currently sell ferries from Rabac. However, don't fear, because there are plenty of alternatives to choose from. 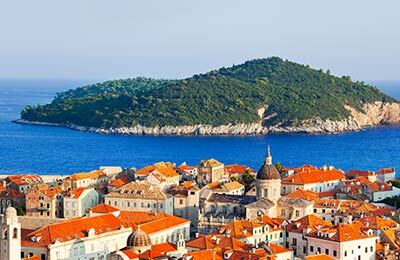 You can either use the booking form above to find ferries that operate on very similar routes or find a list of all our ferries to Croatia. 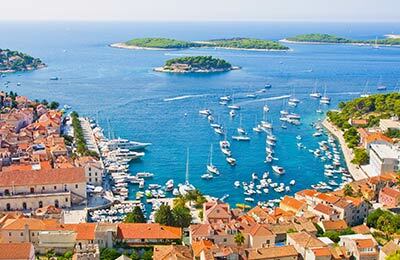 Rabac Ferry port is located in a small Croatian village in Istria by the Kvarner bay just 3 miles southeast of Labin. Once just a small fishing town, Rabac has grown into one of the major resorts in Istria. Rabac ferry is a fairly small facility but you can find many inviting, cosy cafes, ice cream parlours and all the other amenities just a short walk along the port. Once just a small fishing town, Rabac has grown into one of the major resorts in Istria. Rabac offers boat excursions to the nearby islands as well as excellent sports and recreational facilities. There are various seaside apartments and resorts to choose from in Rabac. Beautiful blue flagged beaches and clear sea make Rabac one of the best holiday resorts for families.